People with the neurodegenerative disease are more likely to have certain epigenetic patterns than those without. WIKIMEDIA, CHRISTOPH BOCKIn searching for epigenomic variations in people with and without Alzheimer’s disease, two groups have zeroed in on several genes at which methylation states correlate with having had the neurodegenerative disease. 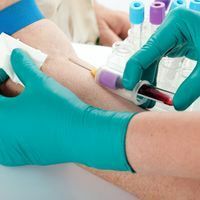 “The results are compelling and consistent across four cohorts of patients taken across the two studies,” Jonathan Mill of the University of Exeter who participated in both research projects, told New Scientist. 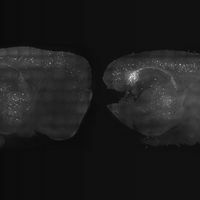 The results were published in two papers in Nature Neuroscience this week (August 17). 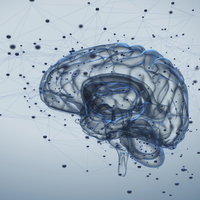 In one study, the researchers analyzed genomic methylation patterns in the autopsied brains of 708 people; the other study looked at methylation patterns in brain samples from 122 deceased donors. Some of the participants had Alzheimer’s, others did not. 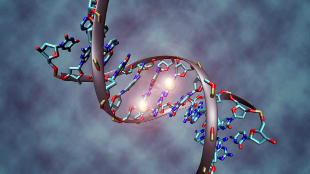 Several genes popped out as having different methylation states among the donors with Alzheimer’s. Among the few that overlapped in both studies was ANK1, a gene involved in the structure of the cell membrane. 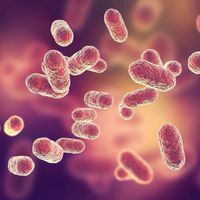 “This innovative research has discovered a potential new mechanism involved in Alzheimer’s by linking the ANK1 gene to the disease,” Simon Ridley, head of research at Alzheimer’s Research UK, which funded the studies in part, told New Scientist.